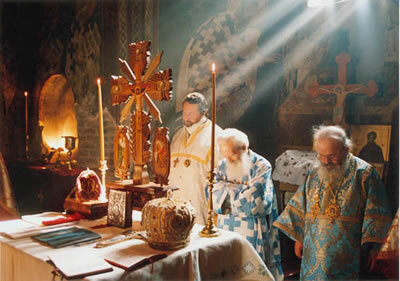 We are English-speaking Orthodox Christians in and around Peoria, Illinois, and in the Diocese of Chicago and Mid-America of the Russian Orthodox Church Outside of Russia, who, with the blessing of His Emminence Archbishop Peter, have established this mission - a Eucharistic community of servants of Jesus Christ worshiping together in Spirit and in Truth. We received our blessing in August 2012 on the Feast of the Transfiguration of the Lord and began public services immediately the following week on the Feast of the Dormition of the Theotokos with a moleben to the Mother of God. May all visitors feel welcome and depart blessed as we serve God together within the spiritual richness of fully-preserved Apostolic Tradition and community, which is the Orthodox Church, being continually restored thereby into the likeness of our Great God and Savior Jesus Christ. Amen. The Russian Church has had a part outside of Russia for about two centuries. The preaching of Christianity to the pagan tribes of Asia involved the founding of missions which became in the course of time dioceses in China and Japan. The spreading of Orthodoxy among the pagan population of the Aleutian Islands and Alaska and the establishment of the Mission, and then dioceses for North America, were a continuation of the preaching in Asia. In Western Europe, beginning with the 18th century, churches were built at first at the Russian embassies, and then separately from them in those places which were visited by Russians in their trips abroad. All these churches were considered to be in the diocese of the Metropolitan of Petrograd; most recently they were directly dependent on his vicar, the Bishop of Kronstadt. None of the Eastern Patriarchs, whose authority has been highly respected by the Russian people, and likewise none of the other heads of the Orthodox Churches, ever protested against such a spreading of the Russian Church. If according to the Church canons a duration of thirty years is sufficient to cause a church or a place to belong to that diocese which in the course of those years was in possession of it, then all the more must one recognize as undisputed the right of the Russian Church to those places which have been cared for by her for many decades. One may say quite certainly that this question would never have been raised if the Russian Empire and with it the Russian Church had remained in its former power and glory, and if no misfortune had befallen them. After the collapse of the monarchy, at first the Russian Church continued both within and without Russia to enjoy her former rights. But this did not last long. Soon persecution began. The Communist regime which soon came to power set as its aim the uprooting of all religion, which according to Marxist teaching is prejudice and superstition. The chief blow was directed against the Orthodox Church, to which belonged the overwhelming majority of the Russian people, and which had inspired them over the centuries from the very Baptism of Russia. Churches began to be closed, clergy were persecuted and murdered, and this turned later into systematic battle against the Church with the aim of exterminating it. 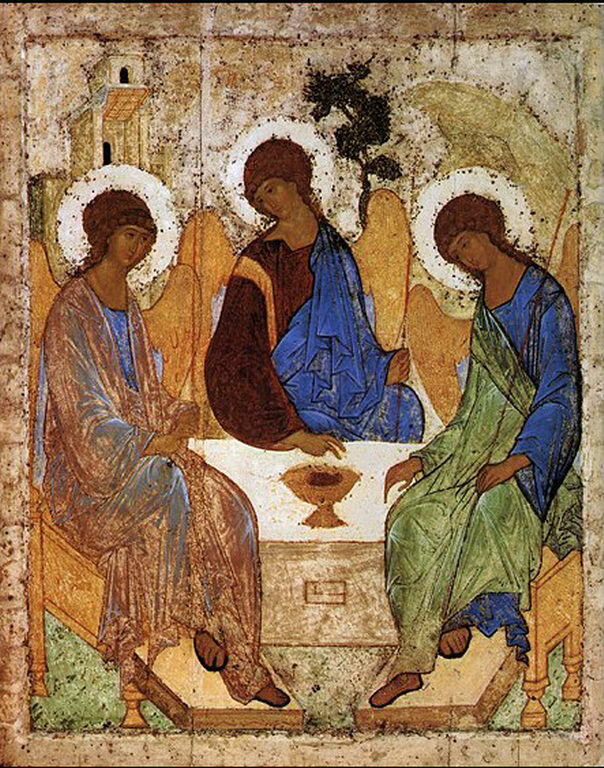 The Diocese of Chicago and Cleveland was established in 1954 by a resolution of the Council of Bishops of the Russian Orthodox Church Outside Russia. 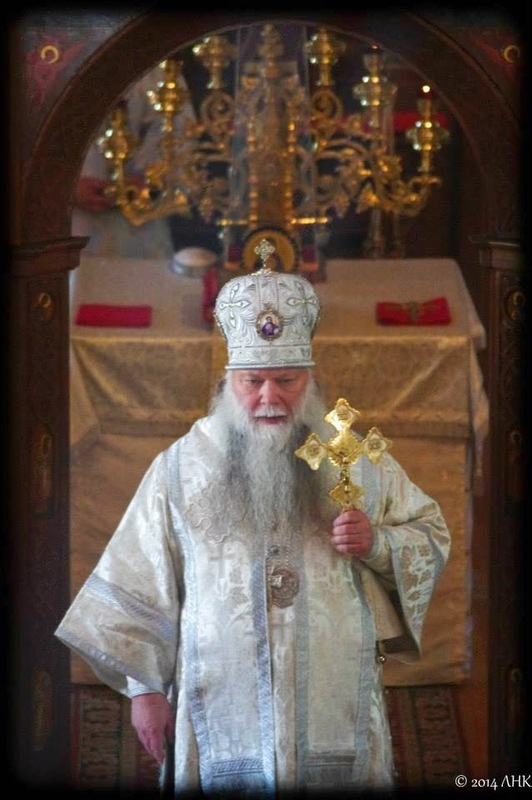 Archbishop Gregory (Boriskevich) was appointed the first ruling hierarch of the diocese. In 1957 Archbishop Ieronim (Chernov) of Detroit and Flint reposed in the Lord, and the small diocese that he headed was joined to the Diocese of Chicago and Cleveland, now renamed the Diocese of Chicago and Detroit. Later that same year Archbishop Gregory passed away, and Bishop Seraphim (Ivanov) was appointed as the new bishop of the combined dioceses. He presided for thirty years, reposing in 1987. In 1974 Archbishop Seraphim petitioned the Council of Bishops for assistance, and Bishop Alypy (Gamanovich) was consecrated as bishop of Cleveland, vicar of the diocese. After Archbishop Seraphim's repose, Archbishop Alypy became the ruling hierarch. In April of 2002 Archbishop Alypy suffered a fall, and was left incapacitated from the waist down. Archimandrite Peter (Loukianoff), then chief of the Russian Ecclesiastical Mission in Jerusalem, was appointed to run the diocese. On Jun 29/July 12, 2003, at the request of Archbishop Alypy, Father Peter was consecrated bishop of Cleveland, administrator of the diocese. The History of Orthodoxy in America is complex and resists any easy categorizations or explanations. A comprehensive timeline of the history of Orthodox Christianity in the American continents can be found here on orthodoxwiki.org.